Five of the best new and emerging comedians from the West Midlands are in the running for the fourth Birmingham Comedy Festival Breaking Talent Award. The prestigious annual competition officially kicks off the 10-day festival at Birmingham Glee Club on October 6, 2017. Having grown up in Huddersfield, Alex Black (above) moved to the Midlands as a student and now lives in Hollywood, south Birmingham. He's been doing stand-up for two years, having been inspired by the likes of The Fast Show, Dylan Moran, Tommy Tiernan, Ross Noble and Bill Bailey. "I'm a musical comedian, telling stories about losing my youth set to the soundtrack of my long-gone teens," he says. Wednesbury-based examinations officer Rob Kemp (above) started his stand-up journey nearly six years ago. 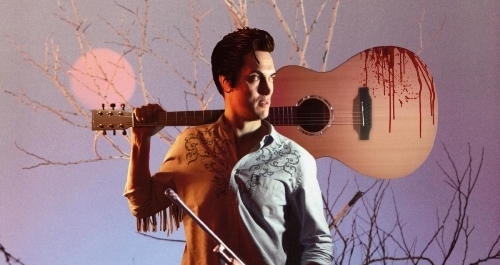 His second one-man show, The Elvis Dead, mashed-up horror flick Evil Dead 2 and the hits of Elvis Presley, to become a runaway cult hit at this year's Edinburgh Fringe. An admirer of Eddie Izzard, the Pythons, Dylan Moran and Daniel Kitson, his comedic style has been described as "quite smart" and "fairly leftfield confused whimsy." A former member of sketch group FunBags Comedy, Gemma Layton is a character comedian whose creations include Mercedes Benson. 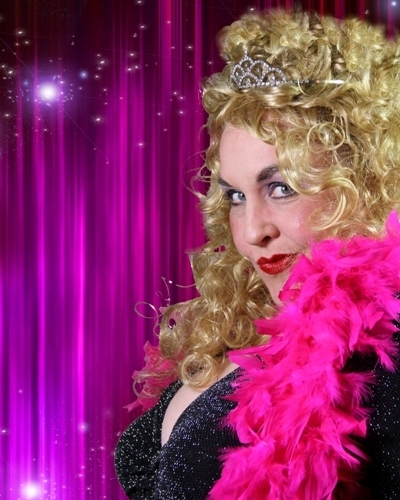 But it's her latest creation, Black Country cabaret singer Beverley Vegas (above), which has ensured her Breaking Talent Award nomination. Gemma cites The League Of Gentlemen, Victoria Wood, Julia Walters, Julia Davis and Steve Coogan as key inspirations. 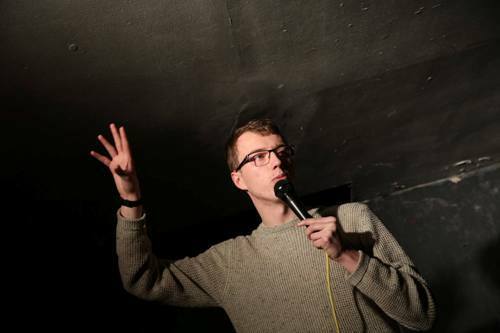 Eric Rushton (above) hails from Stone, Staffordshire, and made his stand-up debut with Warwick Comedy Society during his first year at the University Of Warwick. "Terminally unemployed" he reached the finals of the Chortle Student Comedy Award 2016 and So You Think You're Funny? in 2017. "My material is quite self-deprecating and depressing, with a little a bit of silliness to compensate for all the moaning," he says. 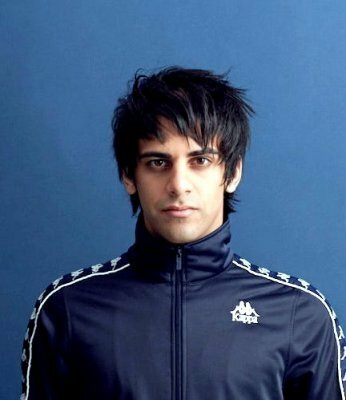 Born in Handsworth, Birmingham, Kai Samra (above) grew up in Leamington Spa, Warwickshire. Despite only starting stand-up in 2016, he's already opened for such acts as Paul Chowdhry (in front of 2,000 people). Kai describes himself as "an observational comic who tackles issues such as class, race and modern culture from a fresh perspective." The five acts were nominated by a panel of comedy professionals. 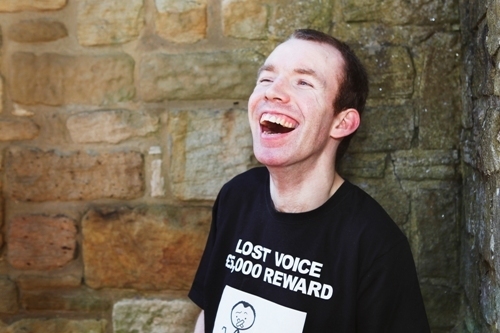 The night will be compered by James Cook and will close with a set from Lost Voice Guy (below). A Birmingham Comedy Festival spokesman says: "The award features some of the very best talent from across the West Midlands, acts who are either in the early stages of their careers and show real promise, or who've seriously upped their game during the last 12 months. With observational, music and character comedy, this is our most varied Breaking Talent line-up, so it's going to be a really fantastic show." Mark Tughan, from The Glee Club, adds: "The calibre of talent coming through in the last few years has been exceptional, and this year looks like another step up, both in quality and diversity of acts. It's become a must-see event for anyone who likes home-grown talent and live comedy." Since debuting in 2001, Birmingham Comedy Festival has played host to some of the biggest names in comedy. This year's festival is no exception. Running from Friday October 6 to Sunday October 15, 2017, the city-wide annual event features Greg Davies, Matt Lucas, Henning Wehn, Joe Lycett, Impractical Jokers, Mark Watson, Simon Day and Phill Jupitus (among others). There's also a revival of Monty Python's Spamalot!, the Over The Fence international short-film festival and two Free Half-Dayers.